Use the “slicer” in the top right corner to dynamically change the time periods being presented. Check out this short video where I show you how to use the dashboard. 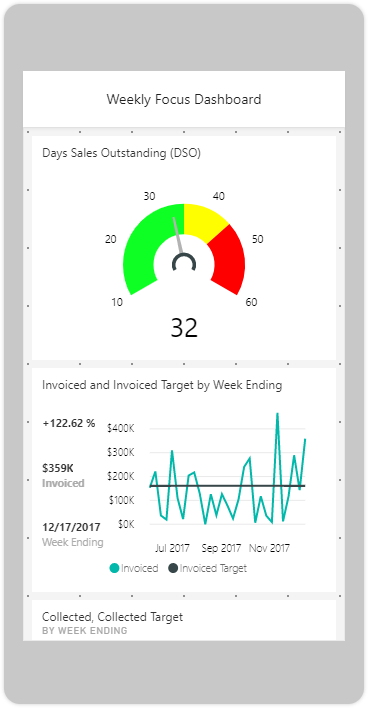 I’m a huge fan of using cool financial dashboards to highlight the metrics that really matter in business. 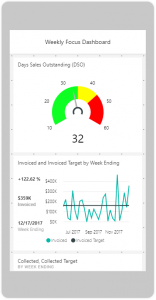 I will be presenting a complimentary webinar on March 15, 2018 to show you some specific examples of cool dashboards. You’ll be surprised what you can create with the new breed of Business Intelligence (BI) technology and tools available today. If you are reading this after March 15, 2018, you can see the recorded version of the webinar with your free membership here. So how is the cool new accounting cloud based software company Xero doing financially? My favorite approach to looking at the big picture of a company’s financial performance is to “xero” in on the cash. I use the Cash Flow Focus Report to create a skinnied down version of the GAAP cash flow statement. 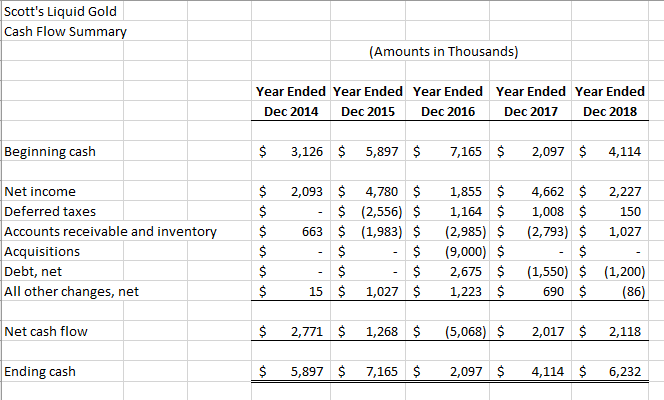 I provided a summary of Xero’s cash flow and financial results back in 2014. Net loss – The company lost $82 million on $207 million in revenues. That’s a big percentage of revenues. (Don’t try that at home!!!) In deciding to label this either good or bad, I would normally look at the budget or the projections to see if it is line with expectations and strategy. In this case, I labeled it as good because losing money (at least for now) is part of their strategic plan to grow. Capitalized development costs – A large portion of the money Xero is spending on the actual creation of their cloud-based software is being capitalized because it benefits future periods. 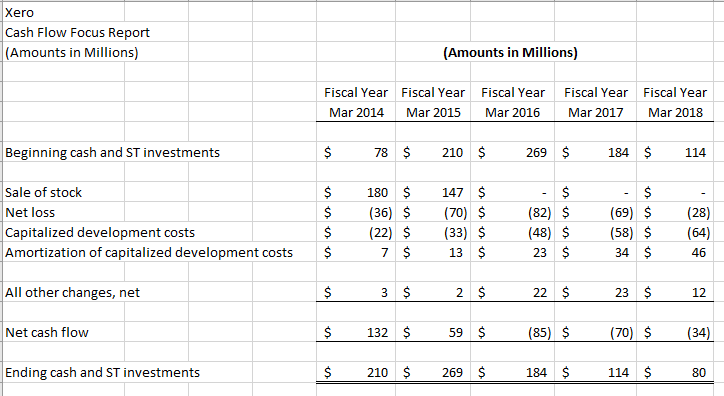 In FY 2016, they put $48 million of those costs on the balance sheet and will amortize (expense) it over time. I labeled it as good since I doubt the dollar amount is a surprise to management. Amortization – $23 million of previously capitalized development costs were amortized (expensed) during the year. I labeled it as good since the costs have to be amortized. Revenues for the year were $207.1 million. $16.9 million of that was in North America. They have 717,000 paying subscribers. 62,000 of those are in North America. They have 1,454 employees. That is up from 1,161 in the prior year. They have raised a total of $380 million (or so) over the last four to five years. Their year-end cash balance was $184 million. Stay tuned as we wait to see if cool accounting software, combined with a boatload of cash, can put a dent in the popularity of QuickBooks in the U.S.
Every business is going to struggle financially at some point in its life. In fact, you will likely experience it a number of times on your journey to building a successful company. But there is a difference between financial struggle and feeling stuck. There is a difference between having a simple plan you are following to improve your profitability and cash flow… and feeling overwhelmed and without a strategy. This article is about helping you get unstuck. In this article, I’ll share with you a 3-Part Plan for breathing life back into the financial side of your business. The problem today is too many entrepreneurs and business owners are feeling more like passengers than drivers in their business. Their company is careening along on the highway of business as they wonder and worry about where their business might end up financially. That’s not wise… and it’s certainly not fun. But what if you had a sensible plan, a roadmap, you could follow that would guide you on your path to building a strong, wealth generating business? You would have the clarity of knowing what your next steps are. You would have the confidence that comes from having a simple system to follow. Your focus would shift to specifics and away from the fuzziness that creates struggle and confusion. Here is an achievable, 3-Part Plan you can begin implementing today. You will be surprised and delighted at the speed with which you see results and feel the benefits. This part of the 3-Part Plan is about assessing, then improving, the financial health of your business. I break the process down into four steps. These four steps are a unique combination of small steps (baby steps) that will help you quickly assess your financial health. You will be surprised how fast you begin to hone in on the solution once you clear away the fog that is clouding your vision. Step 1: Build your cash balance to 1 month of expenses. If you have less than one month of operating expenses in the bank, you are probably experiencing unnecessary stress making your life harder than it needs to be. Maintaining a very small bank balance in business turns otherwise simple decisions and processes into complicated and time consuming hassles. Step 2: Put aside enough cash to pay your income taxes. Taxes should be set aside during the year, not at the end of the year. The government yields way too big a stick to make a mistake when it comes to paying your income taxes. This is one of those “unforced errors” that plagues small businesses more so than larger ones. Income tax payments should never be a surprise. 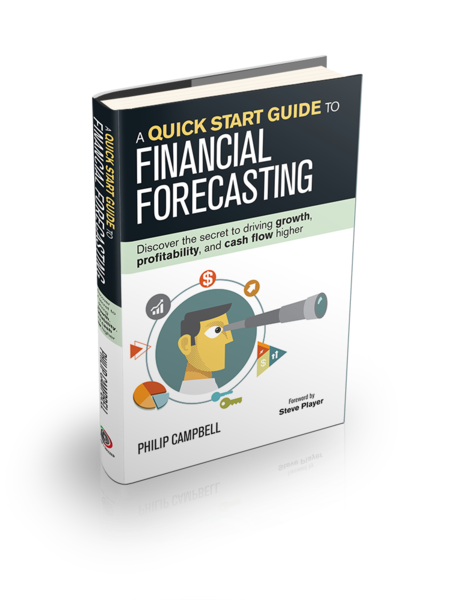 Step 4: Create a reliable financial forecast for the next 6 to 18 months. One of the most powerful tools in business is a reliable financial forecast. It provides the view through the financial windshield of your business. It helps you define where your business is going financially. And it shines a light on the dangers and opportunities that lie ahead of you on your journey to creating a bigger and brighter financial future. In business, a financial safety net is created by having some money (cash in the bank) and less debt. It protects you when financial surprises hit (avoiding the splat on the ground) and it allows you to take measured risks (learning and experimenting) to grow your company. A financial surprise could be a sudden reduction in sales, a large customer that pays their invoice late, or an unexpected expense that blows a hole in your budget. Without a safety net, you have to scramble to avoid disaster or embarrassment with vendors or employees. With a safety net, you simply deal with the surprise and move on. No drama. No losing sleep. These three steps in the process will help you build a financial safety net in your business. Step 5: Pay your bank line down to zero (even if temporary). A revolving line of credit is meant to, well, revolve. You borrow on the line in order to meet seasonal demands or address other short-term cash needs. Then the bank line should be paid back down to zero. The discipline of forcing yourself to pay off your bank line at least once a year (or more) will help ensure you are using the bank line the way it was intended. Step 6: Reduce your personal guarantees (begin the process). In the early days of building a business it can be difficult to avoid personal guarantees. But as you grow and become more successful, you have more leverage, and more reason, to purposefully begin reducing your personal guarantees. You can begin this process by making a list of your existing personal guarantees.You will be surprised how long the list is… and how big the guarantee amounts are. Step 7: Build your cash balance to 3 months of operating expenses. Building your bank balance to 3 months of operating expenses creates a cash cushion against surprises. And it provides “dry powder” so you can quickly jump on unique business opportunities that might come your way. Not to mention the fact that there’s nothing like a healthy cash balance to help you sleep well at night. Growing a successful business is much harder than most people realize. Only a small number of people have the unique talents and drive to build and manage a company through the many ups and downs inherent in business. Even fewer people can grow while at the same time make the company worth more and more money along the way. Ultimately, your financial goal in business is to create wealth and freedom. These last three steps in the process help you set the stage for a future that is even bigger and brighter than your past. Step 8: Use existing cash flow for capital expenditures and growth capital. Capital expenditures generally take two forms. The first I refer to as “maintenance capital expenditures”. These are expenditures, or investments, that maintain your existing fixed asset base. Generally speaking, they help prevent decline. 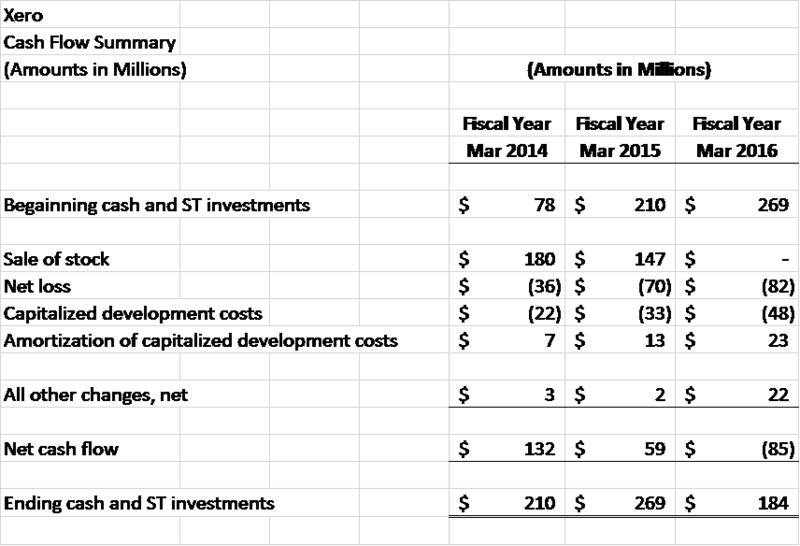 The second is growth related capital expenditures. These are meant to add new income producing assets. They are designed to add to your ability to serve more customers, drive revenues higher, and increase profitability and cash flow. You are wise to fund both with internally generated cash as you grow and become stronger financially. Step 9: Pay down your remaining debt on an accelerated schedule. Debt can be an important tool in helping you build your business. But with financial success comes the ability to pay your debt down on an accelerated schedule. Use a portion of your existing cash flow and allocate it to a more aggressive payment plan. It will feel weird at first. But you will come to love the feeling of strength and accomplishment watching your debt shrink. Step 10: Reward the owners of the business with cash. The ultimate financial reward for a business owner is receiving healthy distributions of the company’s excess cash. It’s your reward as an investor. It’s your reward for building a successful company. It’s cash you can invest in other assets or ventures as part of building a sizeable net worth for you and your family. It’s a fantastic way to enjoy the fruits of financial success. Struggling financially in your business is a sign that something has gone awry. It’s your business sending a flare into the air to get your attention. You can ignore the signals and keep on trucking. Maybe it will fix itself. Maybe your profits will improve soon. Maybe an increase in your cash flow is just around the corner. Admittedly, that is a plan… but not one that is likely to play out well. When you have a step-by-step plan to follow you’ll find that identifying the problem and fixing it becomes so much easier. No more worrying and wondering what’s causing the problem. No more sleepless nights wondering whether the problem is about to get even worse. Start slow. No need to speed through the 3-Part Plan. I designed it so you can implement it in small steps. One foot in front of the other. Start by implementing step 1. You will begin to see progress much faster than you might imagine. 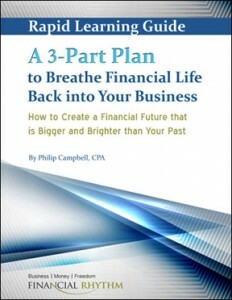 It will help you breathe financial life back into your business. 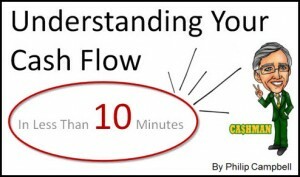 Philip Campbell is a CPA, financial consultant, and author of the book Never Run Out of Cash: The 10 Cash Flow Rules You Can’t Afford to Ignore. He is also the author of a number of online courses including Understanding Your Cash Flow – In Less Than 10 Minutes. 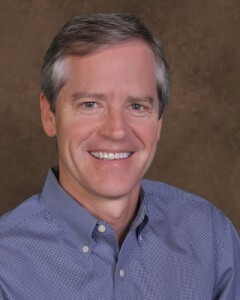 His books, articles, blog and online courses provide an easy-to-understand, step-by-step guide for entrepreneurs and business owners who want to win financially in business. Philip’s 30 year career includes the acquisition or sale of 33 companies (and counting) and an IPO on the New York Stock Exchange. 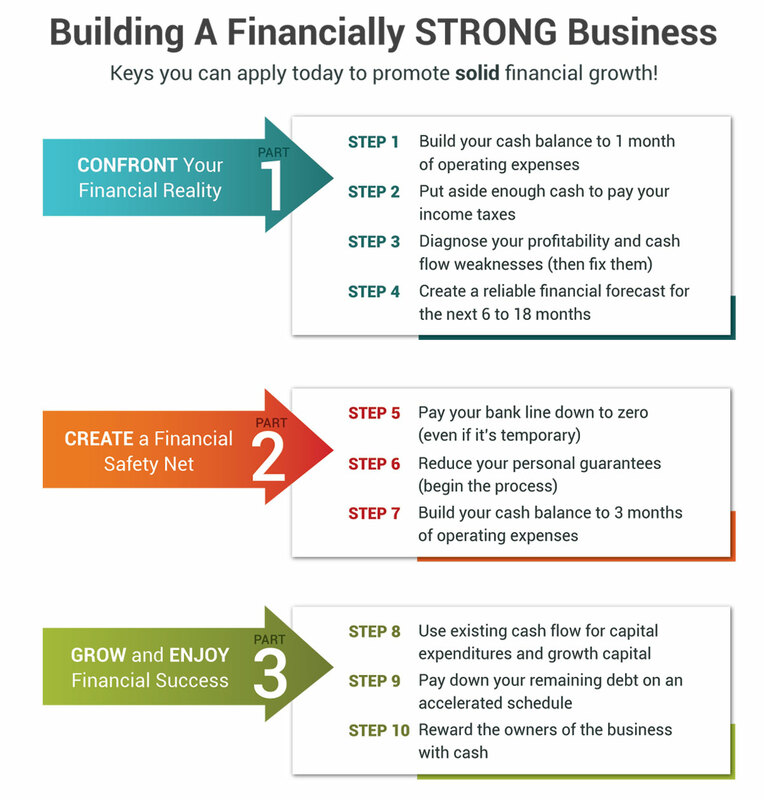 He helps put the structure and tools in place so the financial side of your business is strong and provides the insights you need to make money, improve cash flow, and grow your business successfully.